How does it feel when you attempt an examination which you have no clue about, but eventually come out with flying colors? That’s exactly how I feel regarding my attempt of this year’s #AtoZChallenge! It has been an AMAZING experience filled with wonder, anxiety, excitement and a sense of contentment. Little Background: I started blogging (on a serious note) in mid February, 2016. My initial months of blogging majorly included exploring WordPress and it’s wonderful bloggers, besides writing once in a while. But I wanted to develop a habit of writing meaningful, thoughtful content and not just for the heck of it! For a newbie, it is definitely a challenge to write and post regularly, without pondering 101 times before clicking the publish button. I wanted to get over this nerve wracking moment before posting, broaden my thought process and develop a habit of writing regularly irrespective of life’s challenges. This made me take up the AtoZChallenge, which I first came across in mid March. The very first time I came to know about it, I was pretty sure it wasn’t my cup of tea. Why? Because I knew, I can never write daily nor come up continuously with meaningful content for 26 days. Hence, I ignored the challenge. A week before April 1st, my reader was full of posts featuring themes for the #AtoZChallenge. Having a theme, sounds so cool, I thought. It narrows down your thought process and makes it easier to focus on topics within the theme. The excitement going around in the blogging community before the challenge, enticed me and made me sign up on 31st March, without second thoughts. I was towards the end of the list and had no idea if I’ll ever survive through the challenge at least midway. But Voila! Who knew?! And I did complete my very first blogging and #AtoZ challenge! These are a few takeaways from my first writing challenge, ever! Ever since I started participating in this challenge, the number of views, comments, hits increased tremendously! Not only did bloggers from WordPress take time to read and comment, but also did bloggers from other blogging platforms. I would owe the instant hike of my followers, likes or hits to this challenge. Numbers may not matter much, but they definitely boost an amateur’s confidence and do encourage bloggers to keep the momentum going. This challenge has made me think beyond my capability and comfort zone. Since I had no theme, I was open to a vast ocean of subjects. But this did not help me much as I ended up getting too confused on what to write about. What I loved about the challenge was, I was forced to think each day, to come up with meaningful content. While, writing every day was part of the hurdle, knowing what to write about was another. I realized my potential of pondering and writing beyond what I ever imagined. This definitely helped me improve my writing skills and thought process. When I signed up for the challenge in the last minute, I had no idea what I would be writing about, every day. Nor was I sure that I would survive through this challenge. But as I started, I thought throughout the day, during my work on what to write. I took time to actually write, during the nights. It was definitely challenging when life came in between, with strict deadlines and accusations from loved ones about not spending quality time with them! Because, I was stressed about hitting the publish button before the clock strikes 12 and spent more time with my phone, typing! Amidst all this, this challenge has instilled a strong belief in me, that no matter what comes in the way, I can definitely concentrate on one thing I love and succeed in the end! Part of my reason for blogging was to do what I love, to pursue my interest for writing and art. I realized I can, in spite of all the ways life can make you give up! This challenge made me determined and reminded me of what I was capable of, even during odd times! I wish I made time to read and comment on more blogs than I actually did. Due to the lack of time for coming up with my posts, I hardly had the chance to dig into more blogs, apart from the weekends. I wish I could explore more! But it was wonderful exchanging comments with fellow #AtoZ challengers. I wish I signed up much ahead, so that I could come up with a theme, or at least prepare on what I would be writing for each alphabet. This would have saved time and would have been less stressful during busy days. However, I thoroughly enjoyed this ‘last-minute’, nervousness to think and write by the end of the day. Made me realize that I can work just fine under pressure too. The organizers of the challenge did a great job by keeping the bloggers updated. The Facebook page with comments for each alphabet, has allowed me to explore blogs and read posts with similar topics, but different takes. It was very kind of the organizers to take time to drop in their thoughts on few of the posts, once in a while. My first challenge has been a wonderful learning experience and I have no complains with the #AToZChallenge whatsoever. I share a lot of the same thoughts about the A to Z and I had just started my blog in March before it began. It was a huge reason I was successful I think because it taught me how to find and maintain a blogging community. It’s the reason I found your blog! I’m looking forward to trying it again next year. 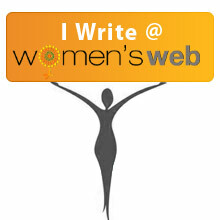 Believe I have been thru same phase as I believe in writing meaningful content and not just for the heck of it. I have read few of ur blogs and I found it good too. And many congratulations for exploring new things and completing the challenge. This must have increased ur confidence level .. Thank you so much for the personal appreciation. I’m humbled, honestly (bows head). I concur with you that without trying, we can never know what our capabilities and limits are. And I’m very happy for you that you undertook, and successfully finished, the A to Z challenge. Thank you so much!! You should definitely take up this challenge next year. I’m very sure you’ll do well. 🙂 It gives me immense pleasure knowing that you liked the little stories, because these are something new I’ve been trying. Means a lot! Thank you! I was thinking of that, whether I should take up the challenge or not. Let’s see how it turns out next April. A combined effort next year, I guess that sounds cool! Can’t commit now, but it does look intriguing! Hehe, Thank you! I was reminded what dedication is after this. lol. Ofcourse, this year you have a good excuse to skip this 🙂 But next year, if you aren’t busy drafting another book, you can try this. Congrats for successfully completing this challenge… how can i subscribe for it? I too went without a theme… Next year, I definitely want to have one! Congrats on making it all the way through the month. That’s excellent. Good for you. You know, I read something once about a guy that painted this beautiful piece in just 10 minutes. When asked how long it took him to do it, he said, “20 years”. And that’s just it. We already have God-given natural talents. It’s up to us to home them and invest in them, so that we can grow and reach our potential. If we don’t do anything with them, they just lay lament. Keep going. I’m sure you will keep growing the more you invest.